Steeped in both ancient and modern Jewish and cultural history, here in the Jewish Quarter every stone has a story. You’ll venture through the Cardo, a colonnaded style street that was the heart of a major Roman city built atop the rubble of Jerusalem. Located deep in the heart of the Jewish Quarter, these synagogues are hardly visible to the naked eye due to the need for secrecy during Muslim rule beginning in the late 1500’s. These Sephardic synagogues were restored to their magnificence in 1967. Descend into these infamous tunnels that are enriched with thousands of years of history. 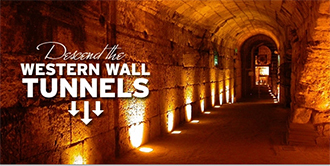 These tunnels tell the story of the ancient Jews living during the period of the two temples. Stand on the original Roman Street from the times of Herod the Great and watch as the hidden layers of the Western Wall are revealed before your eyes. At this one-of-a-kind museum, visitors travel back in time and walk through 4,000 years of Jerusalem’s beautiful history. Travel from the 1st Temple period to the 2ndTemple period in a matter of minutes and marvel at the many exhibits that feature the atmosphere of Jerusalem under its various rulers and periods of its history. Here stands one of the most sacred sites in all of Jerusalem; the remnant of the ancient Jewish Temple. Jews come from all over the world to pray at the wall and feel its strong spiritual presence. While you’re here, write down your biggest wish and place it in the wall, following the tradition of thousands of years of the Jewish people who come here and pour their hearts out in prayer. Ranked among the world’s leading art and archaeology museums, here guests are able to truly experience Israel’s rich artistic history. 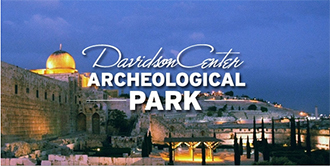 Explore Second Temple Judaism with the pre-destruction Temple model and visit the ancient Dead Sea Scrolls Exhibit at the Shrine of the Book. 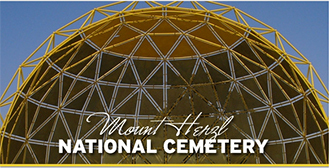 Memorialize the political figures who built the modern State of Israel and the IDF soldiers who died fighting for its creation by visiting Mount Herzl, Jerusalem’s national cemetery. This museum presents the story of the Holocaust from a unique Jewish perspective, emphasizing the experiences of the individual victims through original artifacts, personal possessions, and survivor testimonies. The museum will help re-instill the powerful message that Holocaust museums all over the world embody: Never forget. Here you will learn about the lives of those who fought and died at the site of one of the fiercest battles fought during the 1967 Six Day War. Explore the heroic lives of the Israeli soldiers who gave their own lives for the victory and reunification of the holy city of Jerusalem. 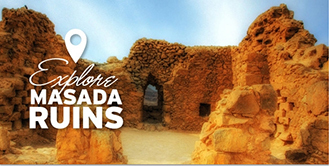 Ride via cable car to the top of Masada and explore what remains of King Herod’s palace, imagining what it was like to live there as you view the well preserved baths, cisterns, barracks. It was here that Eleazer Ben Yair and his followers kept the Roman Legion at bay for three years. Enjoy a relaxing, therapeutic day in this oasis of warm, buoyant water and mineral-rich mud in the middle of the Judean Wilderness! Read the paper while floating on the dense, salty water, and lather yourself with the nutrient-filled mud—an all-around luxurious day! The tour will end in Jerusalem. Farewell – We’ll miss you! What’s Included? Everything You Need! Be sure to pack a hat, sunscreen, bathing suit, and towel – you’ll want to cool off! Comfortable, broken in walking shoes are recommended. Valuable belongings should never be left unattended in the tour vehicle.